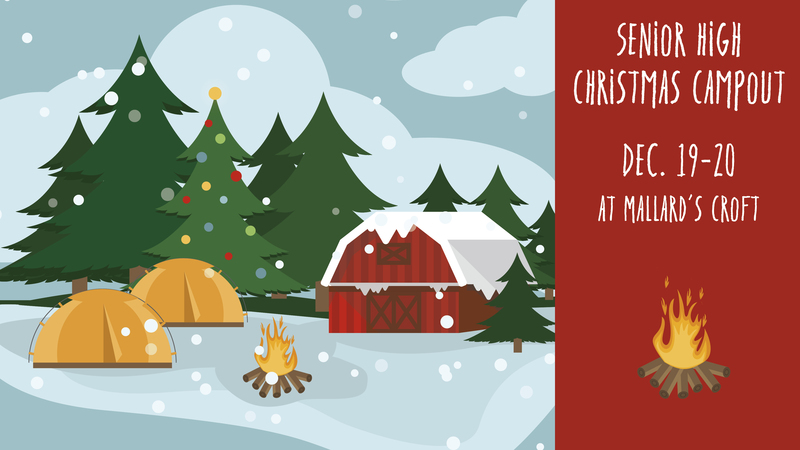 Wednesday, Dec 19, 2018 - Thursday, Dec 20, 2018, 5:30 p.m. to 10:00 a.m.
Our Student Ministry team is planning a Senior High Christmas Campout at Mallard’s Croft and we want your students to join in the fun! When: Wednesday night, Dec. 19, 5:30 p.m., to Thursday morning, Dec. 20, 10:00 a.m.
• boys-bring tents if you have any!! • Christmas dessert or snack to share! !